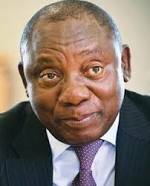 South African President Cyril Ramaphosa departed on Monday evening for London to attend the 2018 Commonwealth Heads of Government Meeting (CHOGM 2018) in the British capital, the Presidency has said. CHOGM 2018 is themed “Towards a Common Future” and will take place from 19-20 April, the high office said. According to the Presidency, the meeting of Heads of Government segment would be preceded by a Pre-CHOGM Foreign Affairs Ministers’ Meeting from 17-18 April. The high office added: "CHOGM 2018 will provide Heads of Government with an opportunity to discuss common international challenges facing the membership, including weak global trade and investment flows; 21st century security threats; increasing the resilience of small and vulnerable states facing climate change (especially its impact on oceans states); and advancing the Commonwealth’s shared values and democracy, good governance and inclusivity as set out in the Commonwealth Charter." The Commonwealth, made up of mainly former British colonies, consists of 53 members which include 19 African members; seven Asian members; 13 members from the Caribbean and the Americas; three members from Europe; and 11 members from the Pacific Ocean states. They meet once every two years to discuss issues affecting both the Commonwealth members and the international community in general. The Presidency said the leaders are expected to adopt an Outcome Document at the end of the meeting, which would cover a wide range of issues which will serve as a programme of action for the organisation in the next two years. "For South Africa, the CHOGM 2018 is an opportunity for the marketing and promotion of South Africa as an investment destination,” the presidency said. Ramaphosa is expected to utilise the opportunity to engage with major investors and business leaders based in the United Kingdom. “The President will thus extend an invitation to leading investors and leaders of business to attend the Investment Summit scheduled for South Africa later this year," the Presidency said. The South African leader is also expected to pay a courtesy call on Queen Elizabeth II and hold a bilateral meeting with British Prime Minister Theresa May as well as deliver a keynote address at the Commonwealth Business Forum banquets. Ramaphosa returns home on Friday.